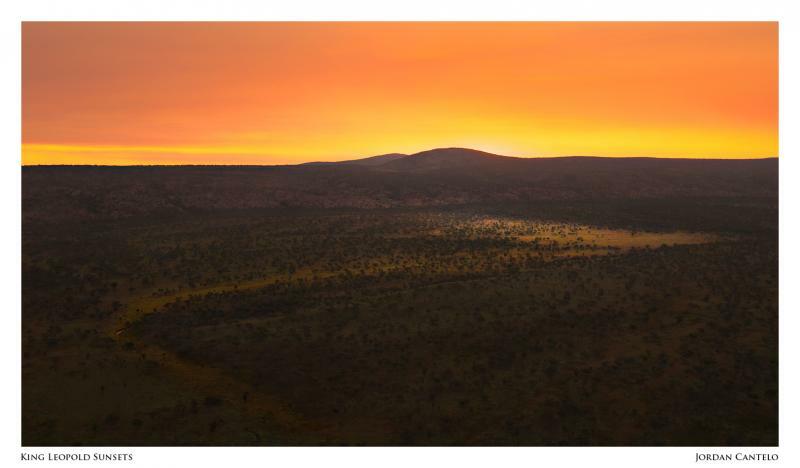 The King Leopold Ranges are a range of hills in the western Kimberley region of Western Australia. The range was named on 6 June 1879 by the explorer Alexander Forrest, during an expedition in the Kimberley area, after King Leopold II of Belgium, "for the great interest taken by His Majesty in exploration". Crossed by the Gibb River Road about 134 kilometres (83 mi) east of Derby, part of the ranges are covered by the 3,921 square kilometres (1,514 sq mi) King Leopold Ranges Conservation National Park, managed by the Department of Environment and Conservation. The ranges separate the main Kimberley plateau from the southern Fitzroy plains and consist of quartz sandstone intruded by dolerite. The ranges, which have an average height 600 metres (1,969 ft), were named by Alexander Forrest in 1879 after King Leopold II of Belgium. The highest point of the range is found at Mount Wells which is 983 metres (3,225 ft) above mean sea level. Nearby features include Mount Hart, Bell Gorge, Silent Grove and Lennard Gorge as well as the Napier Range and Queen Victoria's Head granite outcrop. Fitzroy Bluff is formed where the Fitzroy River carves through the range. Camping is permitted at Mount Hart Station, Bell Creek or at Silent Grove. The traditional owners of the area are the Ngarinjin, Konejandi and Bunaba peoples.